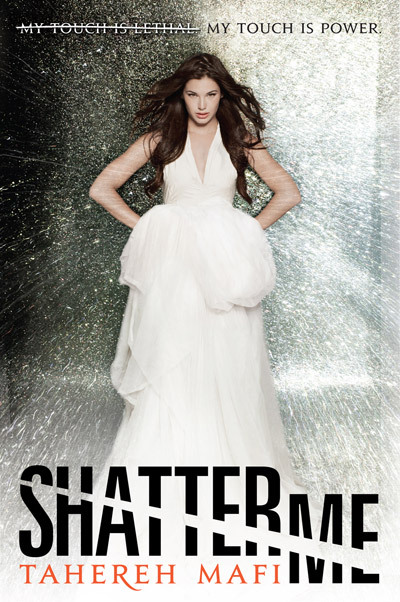 In a word, Tahereh Mafi‘s debut novel “Shatter Me” is fast-paced. This is a book that, once started, you’ll struggle to put down. The only other book to have that affect on me this year was “The Hunger Games”, so the speedy plotting is a skill. The story doesn’t stop for breathing, zipping from action to romantic tension then straight back to action without stopping for breath. I loved it. But keeping things lean and speedy comes at a cost – there’s very little setting description, making the dystopian future of the story hard to visualise. Characters are described sparingly, and given very little time to shine. Villan Warner is a brilliantly-written bad guy, who you can sympathise with and understand, but love interest Adam comes off as a bit two-dimensional at times. The only thing Mafi doesn’t skimp on is the metaphors. They’re everywhere, and I really liked some of the clever turns of phrases. “Killing time isn’t as difficult as it sounds. If beautiful writing and an unputdownable story are what you’re needing in your life, “Shatter Me” will provide all of that and more – but if you want to get lost in a fictional world and its characters, you might be disappointed. Nonetheless, I loved the story and will happily pick up its sequel when it hits the shelves – I want to see more of Warner, and hopefully a bit more worldbuilding. I’m also a little curious how the X-Men similarities will be handled in future books.